This is where the careful and considered selection of appropriate glazing comes into play. Best suited for delivering acoustic performance, Pilkington Optiphon™ is a high quality laminated glass which incorporates a special PVB interlayer. 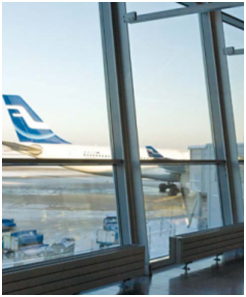 Offering excellent noise reduction for both internal and external application, it doesn’t compromise on light transmittance or impact performance, making it the ideal choice of glass in situations where excess noise is a common problem. 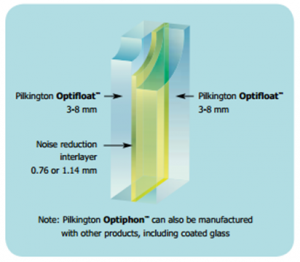 Available in clear or decorative finishes; Pilkington Optiphon™ can also be combined with other Pilkington products for a multi-functional IGU, providing additional benefits such as: thermal insulation with Pilkington K Glass™, solar control with Pilkington Suncool™ or self-cleaning with Pilkington Activ™.